They say that white tigers are magical, mystical creatures. I just think they're beautiful! 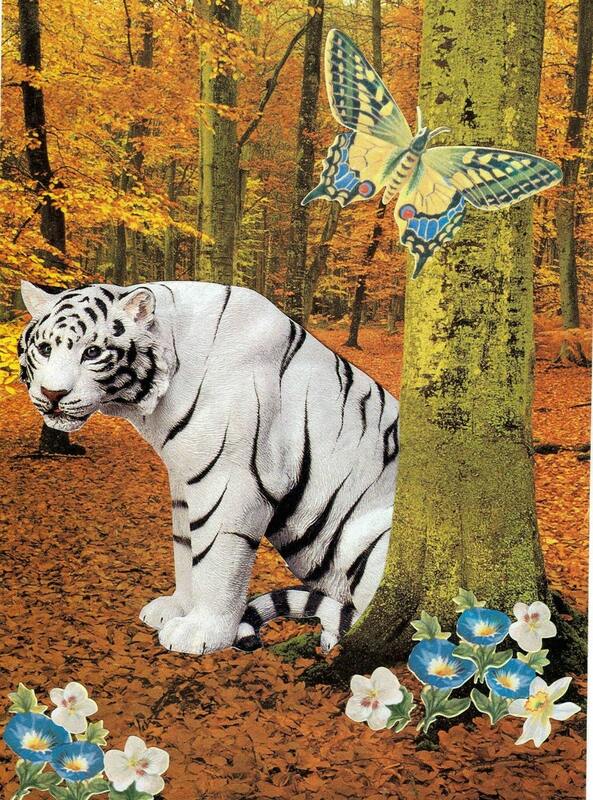 This is a collage I did for a notecard design. What a pretty card to send for any Autumn greeting! Beautiful card. Quick shipping. Would order again.